Acupuncture is an ancient medical therapy used by the Chinese and other East Asian cultures for thousands of years. It involves placing small needles on different points on the body to restore balance and promote healing. For those new to acupuncture, the thought of having needles placed on the body may not be very appealing, however, most people will find that acupuncture is not as painful as imagined. Some people might feel a slight prick when the needles go in, others don’t feel anything at all. Many people report a very relaxed feeling as the needles get to work. Acupuncture is generally safe, however as with all therapies there are some minor risks involved in Acupuncture including some pain and/or bruising at the site of the needling, if you do experience any discomfort please let your practitioner know. Body acupuncture uses acupuncture points on different parts of the body (mainly arms and legs, back and abdomen) to correct imbalances and improve bodily functions. This style of acupuncture can treat a wide variety of conditions and because of this it is the main style of acupuncture used. Facial rejuvenation acupuncture uses very fine, smooth and small needles on the face to help lift and loosen muscles and may diminish the look of wrinkles, reduce the look of scars and improve the overall appearance of the skin. The facial treatment may be combined with a facial massage and body acupuncture to address any internal issues so you get an external and internal treatment in the one session. The length of treatment varies according to the condition of your skin, for people with small fine lines 3-5 treatments is sufficient. For those with deeper lines and/or scarring a series of 15 weekly sessions is required to achieve optimal results. After the initial course of treatments a maintenance regime is recommended with treatments spaced every 2-6 months. Small scale research studies conducted in Korea have shown promising results for cosmetic acupuncture, further larger scale studies are needed to prove that cosmetic acupuncture can reduce the look of wrinkles. Scalp Acupuncture uses acupuncture needles on the scalp to improve body movement, reduce pain, improve sensations of tingling and numbness and regulate the hormones. The ear is seen as a microsystem for the whole body. Different points on the ear can be used to stimulate different areas of the body and treat different conditions. Ear acupuncture can be used alone or with body acupuncture, your practitioner may also decide to use some ear seeds on the outer ear and leave them in for a few days to prolong its effectiveness. 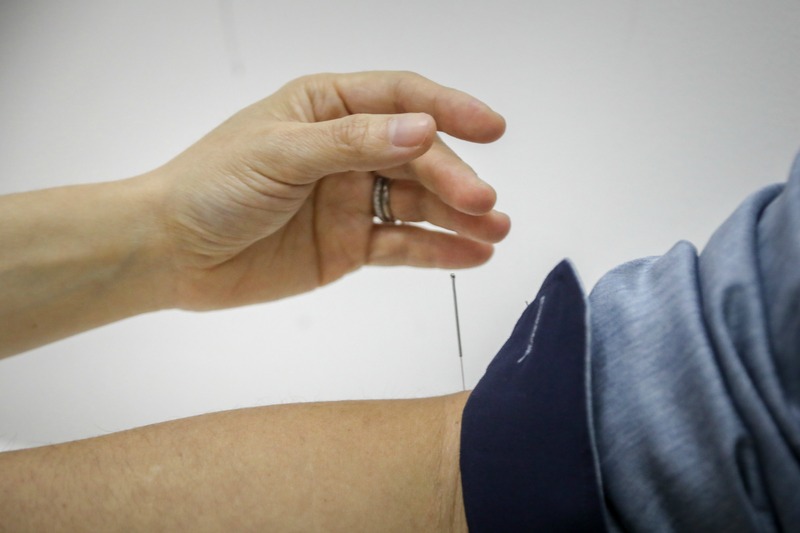 Electrode acupuncture uses electrodes to stimulate the needles, it is good for the treatment of muscular pain and may be used in some menstrual disorders as well.